Harter Investments: Cash House Buyers in Omaha, Nebraska. Sell My House Fast Omaha. There are many things you can do to sell your Omaha property fast And it’s a combination of these many things that will inevitably sell your house fast in Omaha. You will want to implore a strategy that really works and doesn’t waste any time. Is an Open House right for your Omaha home? Will it be worth the time and energy? In this blog, we will review the pros and cons of an open house so you can decide if it’s right for you. The fact is, you may not get a buyer from the open house itself. In fact, more houses are sold via private showings with the originating interest coming from the potential buyer browsing the internet. However, when you are trying to sell your house fast in Omaha, you should let as many people know about the property as possible. Your nosy neighbor could wander in from off the street. Sure, they aren’t buying for themselves, but they might know someone who is. The idea of “picking” your neighbors will be appealing to many people. 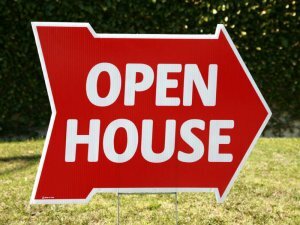 Having an open house is a great way to give your house exposure in Omaha, Lincoln or Council Bluffs. More people seeing your home will never be a bad thing. An Open House usually brings in all types of people and could help you sell your house fast in Council Bluffs, Iowa. Some people simply love seeing homes in Lincoln. Others are ready to make an offer on the spot. But what most people love, is that they are typically able to walk around the house without any high-pressure sales. This gives them the chance to get a feel for the property and the ability to imagine themselves living there. While a private showing is more one-on-one, an Open House will allow buyers to look around at their own pace without feeling rushed. Holding an open house in Omaha is part of a much larger strategy. Many real estate agents in Omaha hold an open house to help increase their own exposure. And while it may not sound like it, this can be very good for you. A Realtor who knows how to market themselves and who has a lot of connections will likely be able to draw a crowd for your home. Any exposure of your property can be beneficial, just don’t expect a ton of legitimate written offers on the day of. Don’t rely solely on an open house, but do appreciate an agent who is utilizing ALL resources to sell your home.